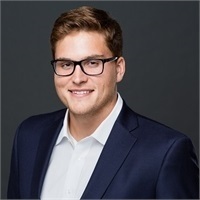 Justin joined Lopez Wealth Management in May of 2015 after receiving his Bachelor’s Degree in Finance from Pamplin College of Business at Virginia Tech. He is passionate about Lopez Wealth’s mission “to become our clients most valuable recourse," and has his FINRA license 65. Justin greatly enjoys the profession of wealth planning and helping individuals achieve financial independence. Fishing, hunting, golf, clay target shooting, hiking, and anything that involves a winner and a loser. All types of country music. “A leader is not someone who is talented or vocal; a leader is someone who is willing to put others before himself. A true leader is the first to arrive, the last to leave, and sets the standard for those to follow. Lead not by word of mouth, lead by example. “ – My father (Wade Lopez) on my first day of football practice.